I've recently decided it is time to write a updated brush collection posts. For me writing the collection posts are always the most fun! I feel you can see the whole lot of what people have and what they do and do not like about the contents of their selection, of in this case, brushes. 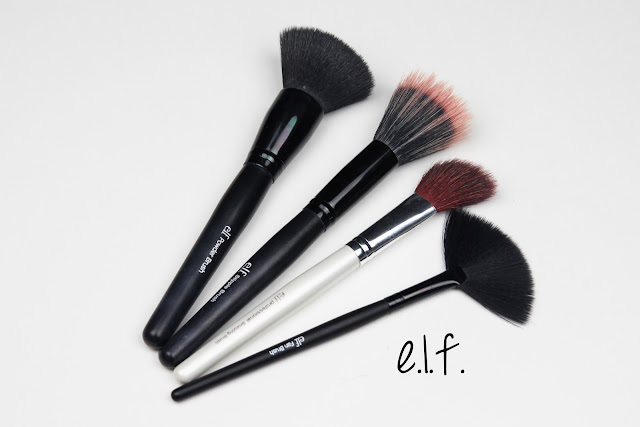 I would say my favorite makeup brush brand so far has to be Elf, they have such a great selection of affordable brushes. 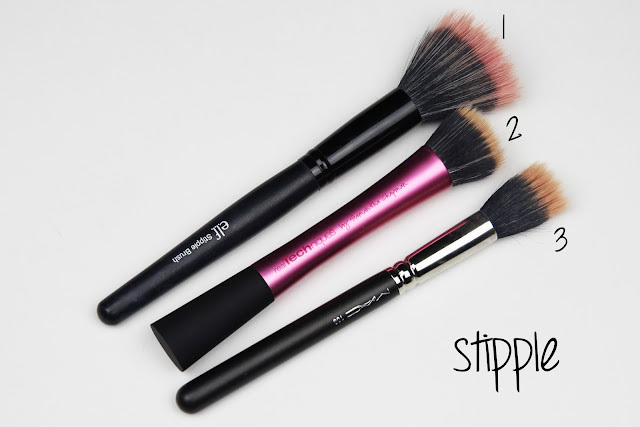 I think the stippling brush and the powder brush really win it over for me. 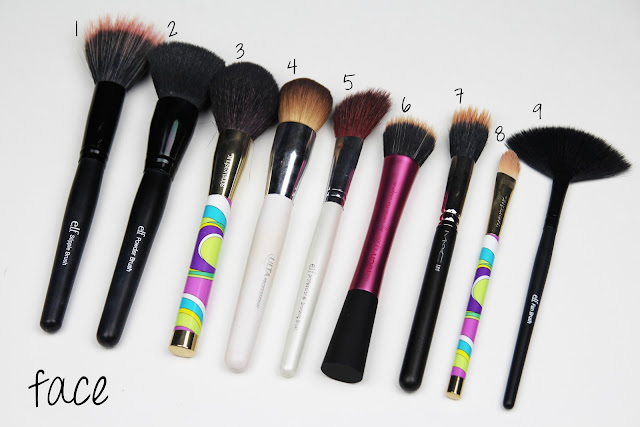 I always recommend Elf brushes to my friends and family when talking about makeup! 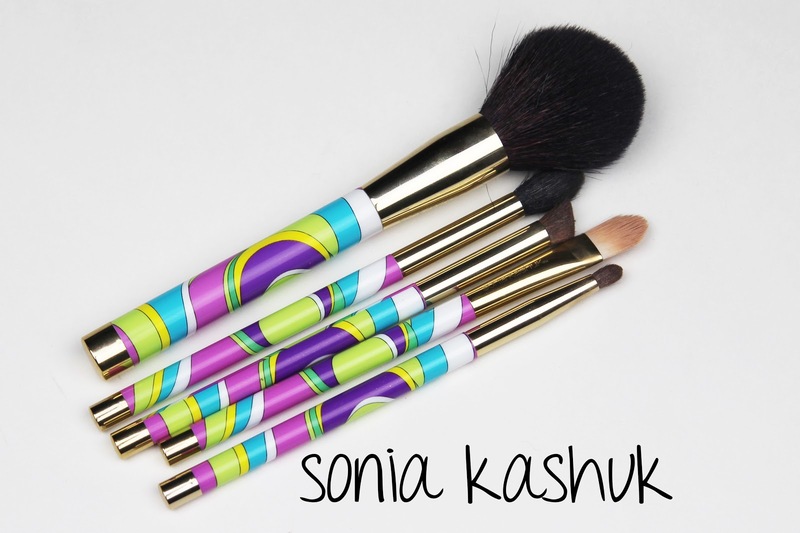 I really also love Sonia Kashuk Brushes, They have to be my second favorite. I love love love her eye brushes. I got this set for around 15$, not bad at all. 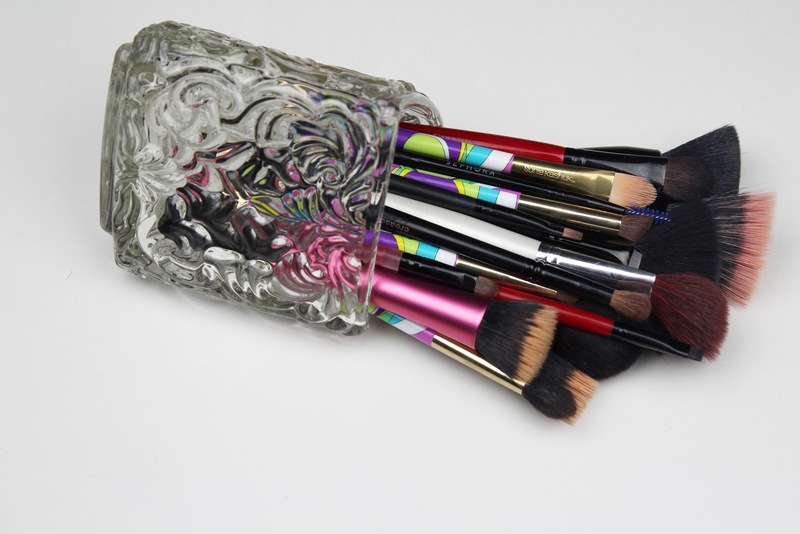 She has a wide range of brush kits, sets, and individual brushes. So so so many! I love the quality of these brushes and the application is amazing! I'm all about the stipple. I feel I got really lucky with these three brushes. I love them all and use them for different things. The Elf Stipple Brush(1) I love for blush, to get a natural application. The Real Techniques Stippling Brush(2) is a new favorite I recently purchased, I love how dense it is, a dream for foundation, especially when you are going for more of a full coverage. And another newer purchase is the MAC 188(3), I love this brush, as I was told, you can use it for just about anything. I love the DuoFibre of this brush, unlike the other brushes which I feel are a bit less noticeable, and real. Do you have any brushes I should checkout? Do we share any of the same loves, or dislikes?! Ahhh I want them all! 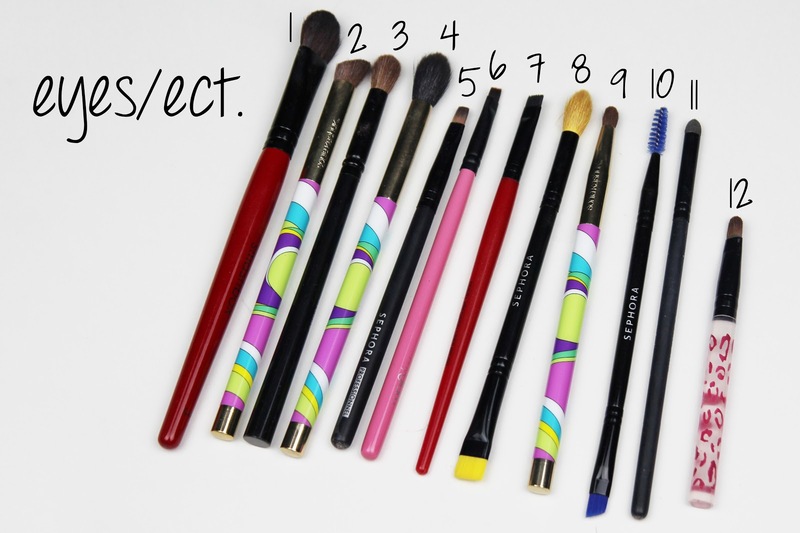 I've been thinking about buying the Real Techniques brushes, like the whole set. Or the Sigma brushes. But if elf is almost the same, then I might as well try that first, as like a starter kit. Is the elf stippling brush denser than most? I've been trying to find a stippling brush that's a bit more course and dense so that I can use it for foundation.